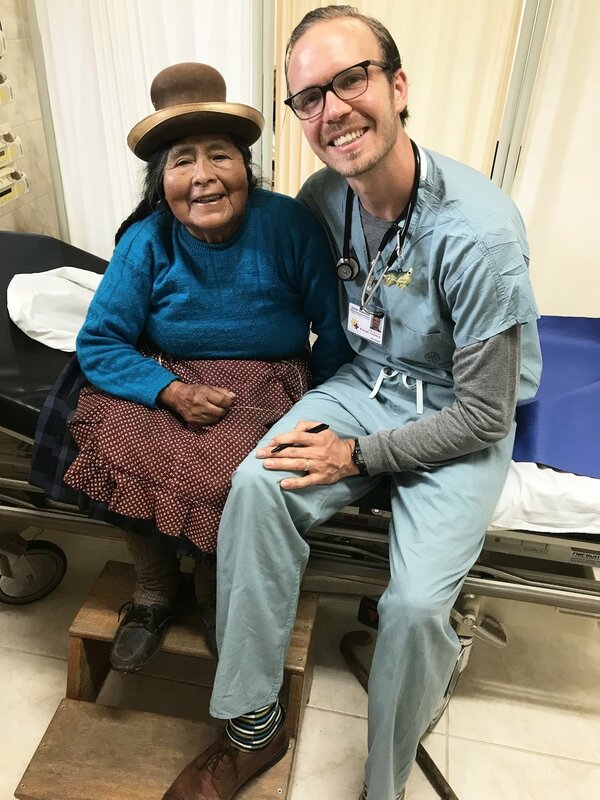 We are so excited to finally be posting our first update in Peru! 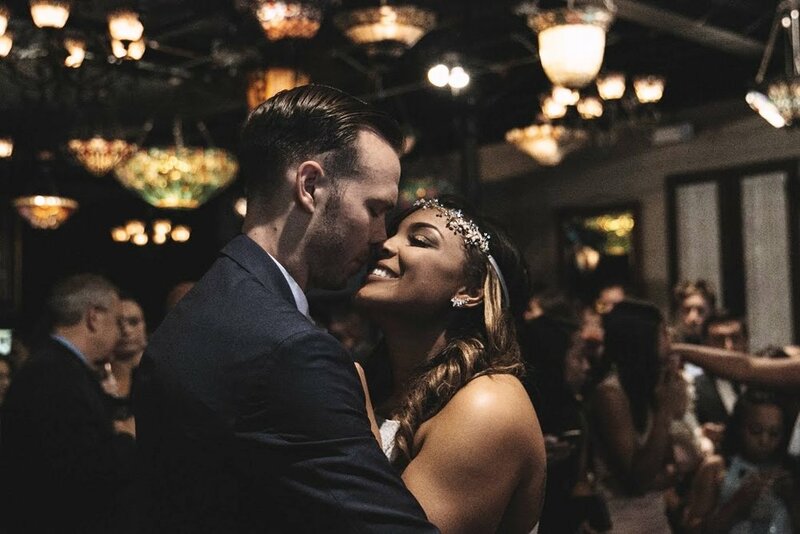 Many have been asking us how things are and we are happy that we finally get to share! We left on January 2nd from Houston and took all day to fly to Peru. We arrived in Peru with 4 boxes, 5 trunks, 3 suitcases, 2 roll-on carryons, and 2 backpacks. You should’ve seen us trying to cart it all through customs. After a short talk with the customs boss, he let us go through the scanners without opening any of our carefully vacuum-packed luggages (For those that have travelled with luggage to other countries, you know this is a HUGE win! God is gooood!). After arriving in Peru, we spent the first week in the capital Lima taking care of Peruvian residency paperwork. After Lima we travelled to Cusco where we are currently in language school. At language school Devyn has been continuing her studies in Spanish while I have been learning the indigenous language Quechua (pronounced keh-choo-ah). The view from the home we are living at in Cusco. 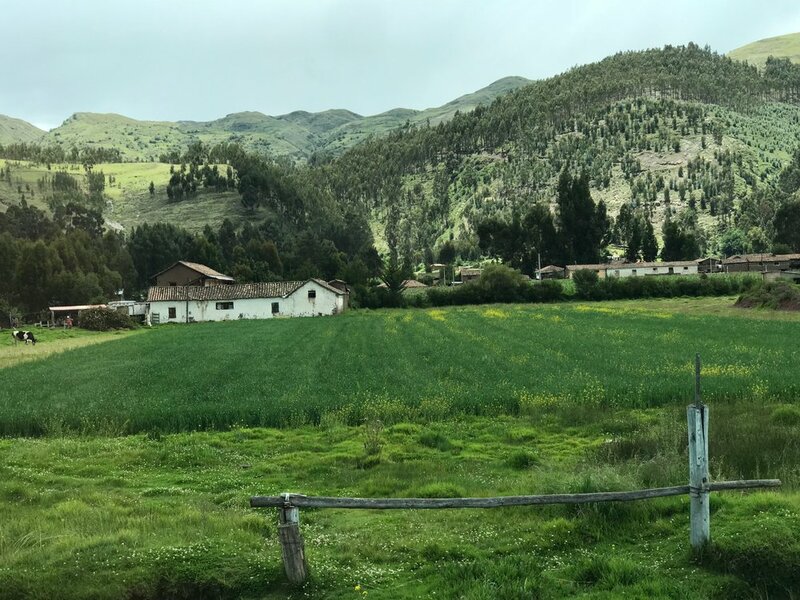 Cusco, where we are now, is a mountain city at about 11000 feet of altitude and is about 2 hours from Curahuasi, the small town where we will be living for 2 years doing our mission work. Cusco is also a couple hours from Machu Picchu, one of the seven wonders of the world. Cusco has been our place of adaptation to the breathless altitude, the language, the humble mountain-folk culture, and last but not least food poisoning (we think it was the mayo ;) ). A big prayer for Peruvian community was answered in the first week when God introduced us to Caroley, an awesome new friend that works in the media department at the hospital Diospi Suyana where I will be working. She holds a lifegroup on Wednesdays and a home church at her house on Sundays. 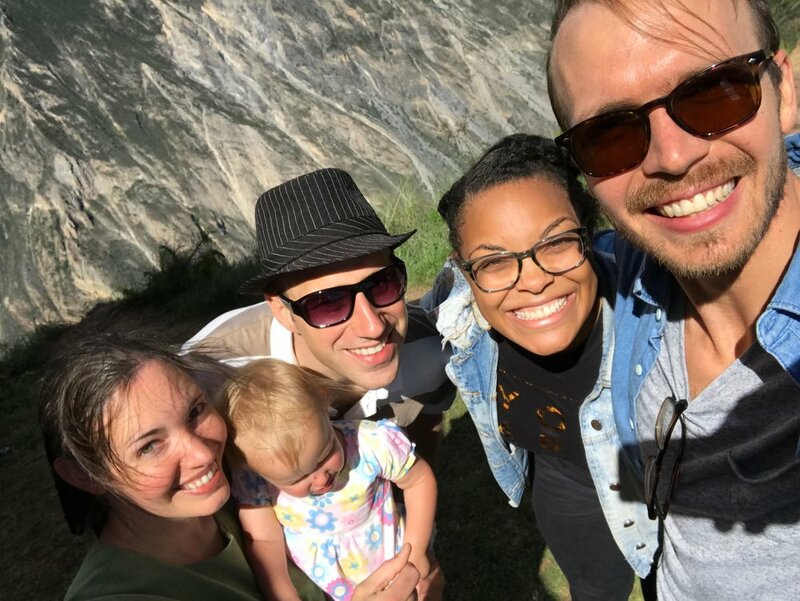 From left: Caroley, her husband Albert, Tamara, Josh, and their baby Charlotte! A random win is finding a comfy sofa (it took us a few trips to several stores and found a sweet couch on SALE!!!). This is huge in feeling at home in our future apt. (Watch the videos of us getting the couch into the apartment). Also it turns out that even though we are waiting to see where God wants Devyn to plug in, we found out that there is ample opportunity for ministry including at the local school (K-12th grade). 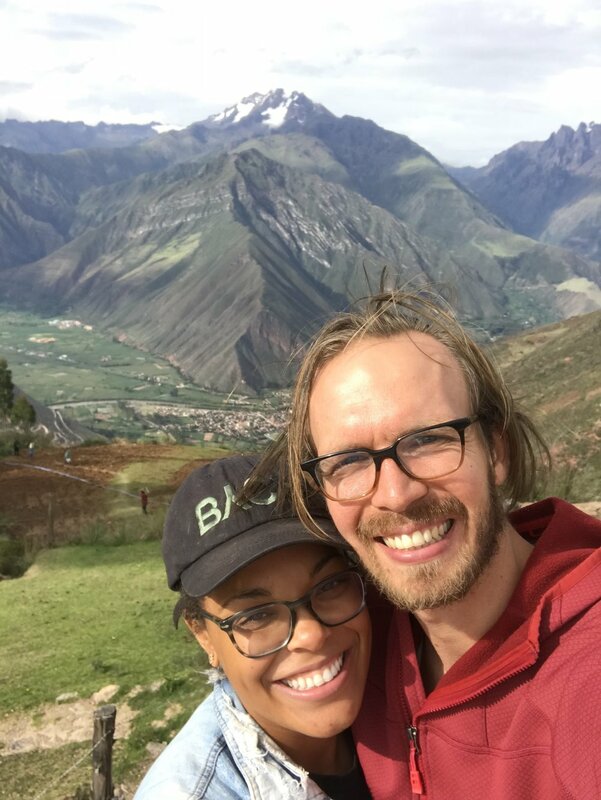 God has also provided us with missionary friends Ben and Jess Lewis from the States that have helped us learn the ropes while staying in Cusco! Time spent intentionally with God: He has strengthened us when we have felt sad, lost, and alone. Ask for help: We have sought counsel from other missionaries on how to best deal with this season. This has brought us peace and comfort. Take time for self care: weight room, naps, friend time, Facetime, Coca Cola, chocolate treats, etc. Lots of prayer!!! Which brings me to our prayer requests!! Against the attacks of the enemy: a couple new missionary families we have met in language school have had to take leave for health and other tragic reasons, we pray for them as well as for God’s protection around them/us. Thank you fam for your prayers and investing in our mission!!! We miss yall and are praying for yall!! Please let us know of you have any prayer requests too, so we can add them to our prayer wall! And of course we have some pictures of our first month that we want to share with you! Enjoy! Us at a market in Lima where we had bomb ceviche! From the roof of our home in Cusco! On a school excursion to some ruins in Ancahuasi! On our way to a museum with our teachers and Devyn's classmates! (My teacher is in the red shirt and Devyn's is in the tan jacket). We made some new friends in Curahuasi Mark and Abigail and they took us on a drive up this beautiful mountain! !